Why a new blog on parking policy? I have been blogging at Reinventing Urban Transport for some time now and the most common tag over there has become parking. It seemed time to consider a blog to focus specially on parking policy. But more importantly, I have become rather passionate about parking lately. Who knew parking could be so interesting? I certainly didn't. I spent many years being interested in urban transport and urbanism while almost ignoring parking. I now think that was a mistake. 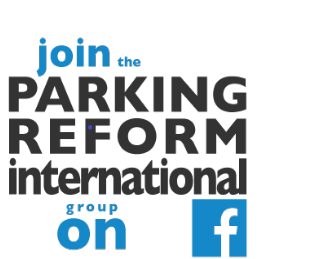 I hope you will come to share my view that better parking policy can be a huge factor in achieving better cities and better urban transport. At the same time, there is much confusion over parking policy choices and their implications. I have been watching various parking policy debates and constantly see people talking past each other without a common understanding of the issue. There are already several blogs focused on parking (see the list of links in the right sidebar). However, I don't see any that devote themselves to helping communities understand the parking choices they face and to helping them to improve their policies. What are the aims of the Reinventing Parking site? A key aim of this blog is to help inform the parking policy choices confronting decision-makers and communities. I have my own views of course and I will not be shy to share them. However, I mostly want to help you to clarify your own thinking on parking policy. I want to help you understand the implications of the various parking policy choices, so you can choose your own, with 'eyes wide open'. If you have very firm ideas on parking policy, this site may shake them up a little perhaps. Parking policy plays a huge role in shaping metropolitan areas and their transport patterns, yet parking is usually planned with little thought for its power. It can create enormous cross-subsidies in society, yet most people hardly notice. Parking policy choices can be pivotal for cities, yet there is widespread confusion over the nature of those choices and what they imply. We need to do much better. I hope to 'surface' the assumptions about parking that you may have without even being aware of them. I will also strive to be open to re-evaluating my ideas in the light of evidence and reason. Parking policy debates are full of confusion and hidden assumptions (in my humble opinion). Let's seek some clarity together! I hope this site can also nurture a community of people who see parking as important and who are seeking better ways to deal with it. Relevant comments and discussions are most welcome. I am also open to guest post suggestions. This blog has a wide geographical focus. Cities all over the world have much to learn from each other (including from mistakes). I hope this site can help you see your own city's parking policies in a wider comparative perspective. I am interested in parking policy in human settlements all over the world, rich and poor, east and west. I happen to be an Australian academic living and working in Singapore. I have lived in Southeast Asia since 1994. This site emerges from my parking research agenda which focuses on both East and West and both North and South (see here and here for now). I will be using the site to do some thinking out loud as the research continues. I hope feedback here will enrich the work. My focus at the moment is car parking but I will also touch on motorcycle and bicycle parking as well as goods vehicles, taxi ranks, etc. If you want to follow progress on this site, please click on one of the subscribe options to your right. You can also follow me on twitter @PaulABarter. I tend to tweet on parking quite a bit (and also on urban transport policy issues more generally). You can get a taste of my thinking so far on parking policy by browsing the parking posts at Reinventing Urban Transport. In the next few days I will re-post some of those older posts here at Reinventing Parking (perhaps with some editing or new commentary). If you are new to parking policy but crave more information, then try some of the links to other parking-related sites listed in the sidebar to the right.